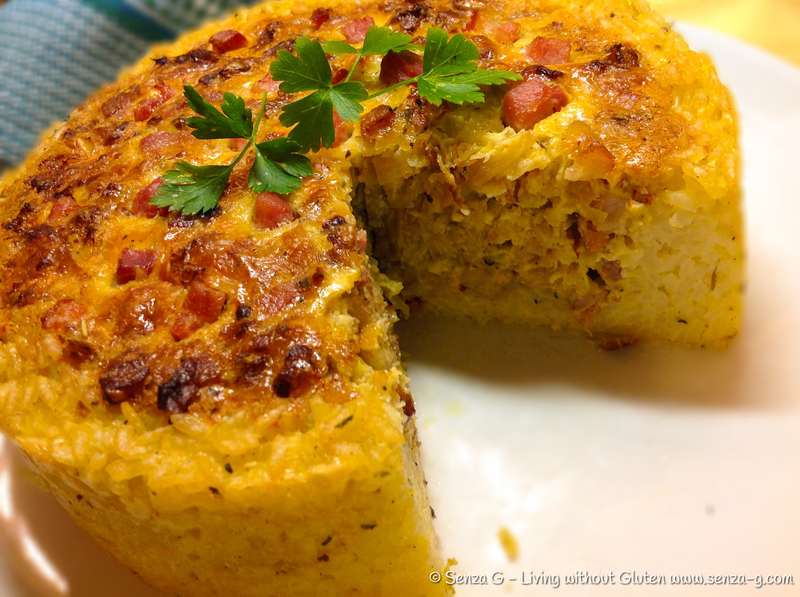 I came across this popular Italian recipe so many times but never got round to trying it. I could not imagine a pie filling using cabbage! Usually it was the other way round – cabbage leaves rolled around some stuffing. Anyways I had this big cabbage … two days staring at me each time I opened the fridge. I certainly did not feel like cabbage soup again, nor cabbage rolls, so I said, it is time to try that darned recipe out! I could not believe how good it comes! Italians really have good taste! Definitely a keeper! Prepare a 20 cm spring release tin by lining the bottom with baking paper and greasing the sides. Preheat oven to 180C. Boil the rice, drain, run under cold water, drain again and put back in the pot. Add the lightly beaten egg whites, the cheeses, herbs, nutmeg and season. 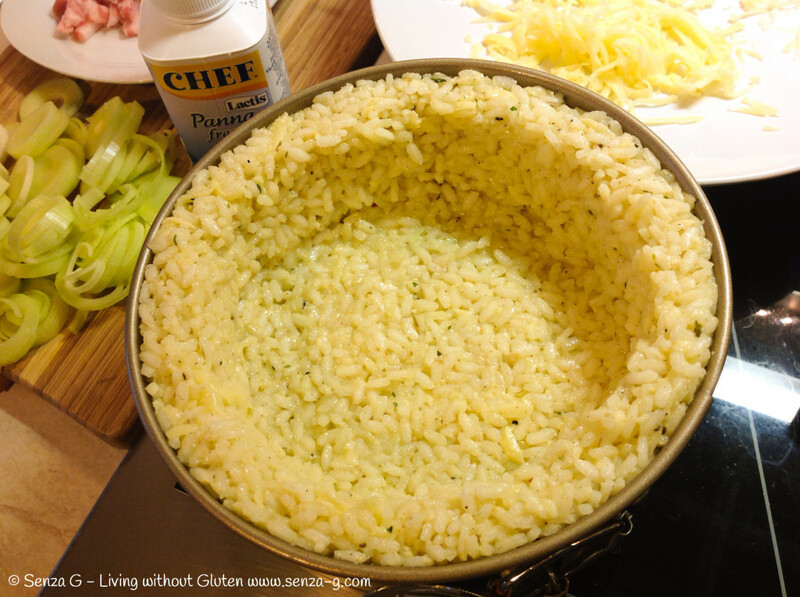 Pour the rice into the tin and using a spoon, push the rice down and up the sides to form a crust like below. Place in the oven and bake for about 25 to 30 minutes. In the meantime, prepare the filling. Saute the sliced leeks in a little olive oil, until they soften. Add the garlic and then the Pancetta and cook until lightly browned. Add the shredded cabbage and cook whilst stirring till it starts to wilt. Remove from the heat and leave to cool slightly. 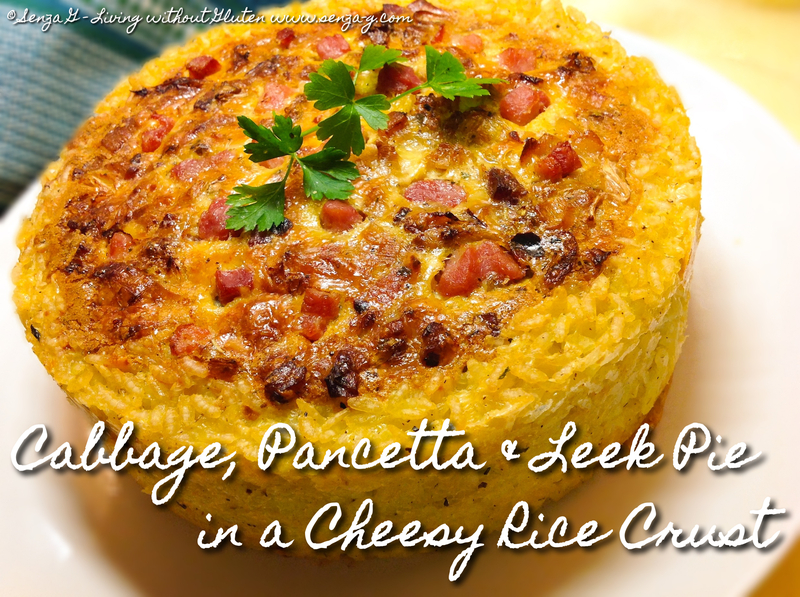 In a bowl, beat the eggs with the panna and add the grated cheeses. Season with salt and freshly ground pepper. Pour this into the cabbage mix and combine well. When the crust is ready, take out of the oven and pour the mix into the cavity, smoothing it down with a spoon. 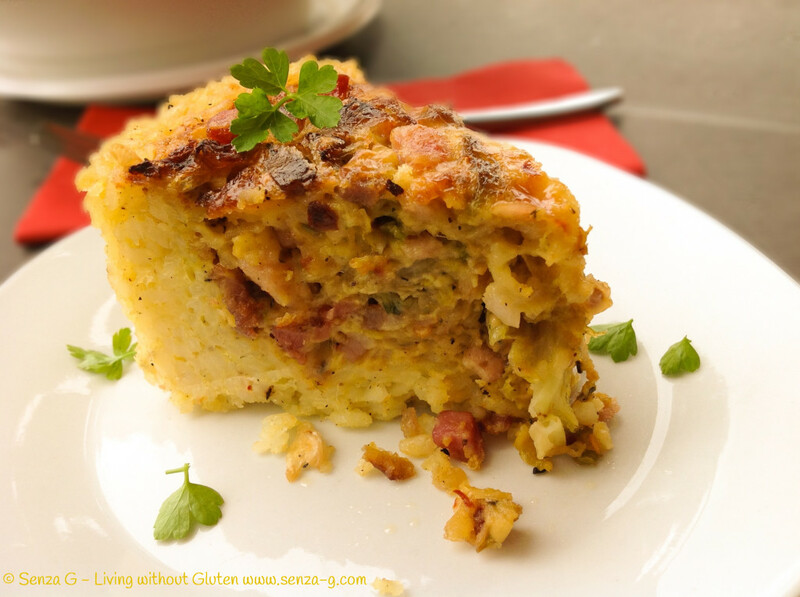 Place the extra Pancetta cubes on the top. Place back in the oven and bake until the custard is firm and the crust slightly golden. Leave to cool slightly before removing the pie from the tin. It will also slice better. Delicious on its own or with a green salad. Now, guess what? 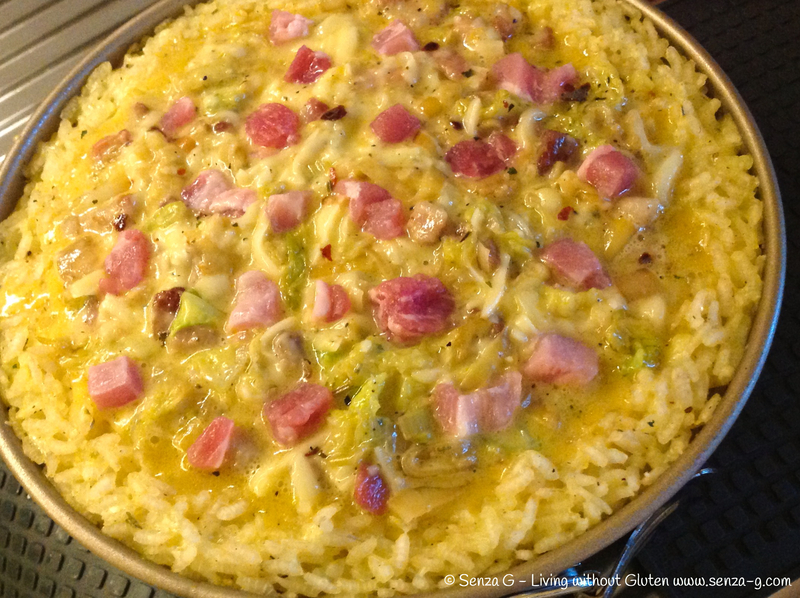 I still have some leftover cabbage … and yes it is going to be transformed into a soup ! Will post if it comes good!